December 3rd in WordPress Themes by Wordpress Jedi . A couple of year ago, most themes available on the market were not responsive. But as tablets and smartphones get more popular, more developers are bringing responsive themes to the market. The Relief theme is a highly customizable, responsive theme for WordPress. It has plenty of color styles and an advanced theme options page, so you can go live fast. The Relief theme has 5 color schemes for you to choose from. The theme options page has enough settings for you to customize your theme conveniently. You can manage events and sponsors with this. The photo gallery feature with PrettyPhoto is a plus. You have the option to maintain a sideblog too. The Relief theme is ready to be localized. 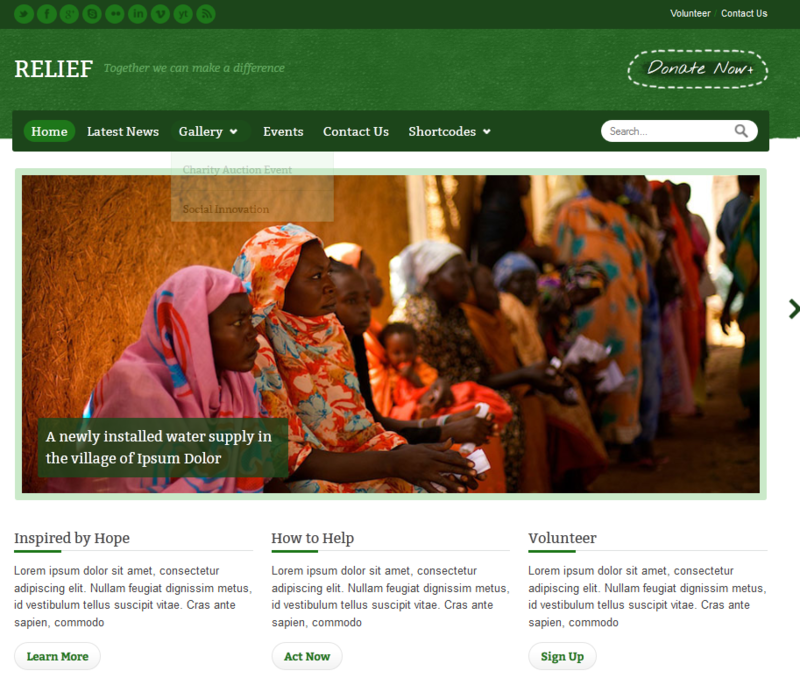 The Relief theme looks pretty decent for a charity theme. 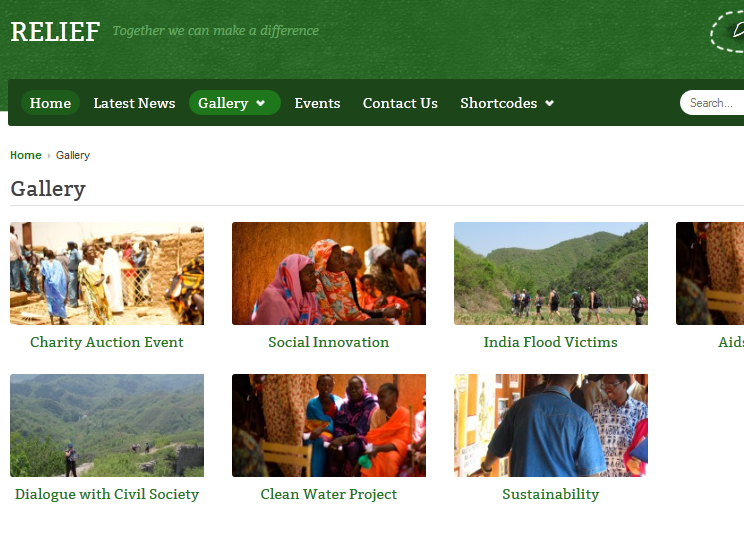 It has a lot of features to help you promote your cause online. We would love for the developers to include more useful custom widgets though.